with Warren Huart (Aerosmith, Ace Frehley, Korn)! 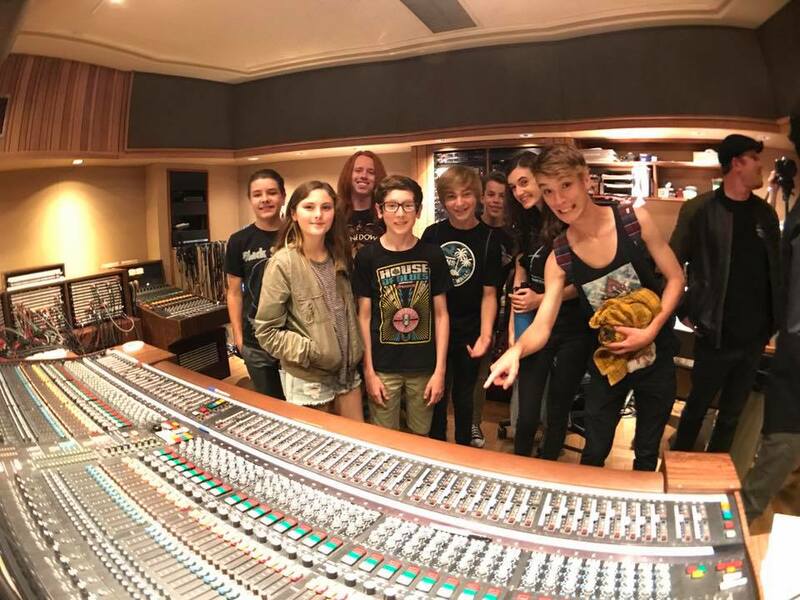 Our students made history when they recorded the first Van Halen album at the iconic Sunset Sound studios in ONE DAY! Same studio, same mics, same console, same reverb chamber that Van Halen used 40 years ago this month! How’s that for a history lesson? The amazing LRRS players on this project: Dylan Dusablon, Sophie Martin, Will Weiss, Julia Lane, Drew Gordinier, Max Bienert, Conner Altwein, Ryan Poppenhagen and Thomas Lowrey. Here’s Running with the Devil! Our Mission From new musicians to aspiring pros, Los Rios Rock School provides expert instruction in guitar, drums, piano and all rock instruments, as well as vocals, songwriting, theory, sight reading, engineering and recording. Combining weekly private lessons and group rehearsals, our goal is to prepare students to confidently take the stage in front of a live audience. As a premier music training center, our teachers are professional musicians who are dedicated to creating supportive yet challenging settings that will help students develop a lifelong appreciation of musical performance.